With several major hospitals and a number of other healthcare and long-term care facilities in Worcester County and greater central Massachusetts, RN and LPN per diem openings provide a variety of opportunities for nursing professionals looking to launch a career or make a change. The healthcare job professionals here at Expert Staffing have extensive connections throughout the central Massachusetts healthcare community – they’re a respected, go-to source for RN and LPN per diem openings. As an RN or LPN, you can work in a variety of small or large medical facilities. 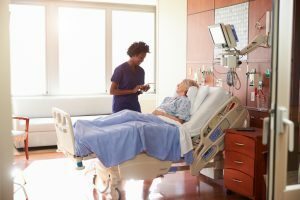 Because of the increased use of medical care by aging baby boomers, the Bureau of Labor Statistics projects a 22 percent growth rate for nursing jobs through 2020. This is well above the average rate of growth for all professions. We offer flexibility as well as stability. In many cases involving LPN and RN per diem openings, you can specify when and where you’ll work – ideal for busy mothers who are balancing work and home life. RN and LPN job openings are a great way to explore a variety of career opportunities involving different areas of practice in different healthcare settings. RN and LPN per diem openings enable you to check out a specific facility, job type, and workload to see if it’s of interest for continued part-time or even full-time employment. If you’d like to explore opportunities for per diem openings for RN and LPN in communities in greater central Massachusetts, contact the professionals at Expert Staffing. Their knowledge, experience, insights, and support can make the crucial difference between just finding work and finding a career.